You might think that booking a vacation or getaway is all about making sacrifices. Pick a great location and you may lose some charm. Go for a location where you can truly get to know the people, the culture and the heritage and you may be away from popular tourist attractions. This is simply not true when you visit Grand Rivers, Kentucky. First, consider the location. The beautiful town of Grand Rivers sits on both Kentucky Lake and Lake Barkley (likely the reason why you chose to visit the area in the first place). If that’s not enough, Grand Rivers is also located on the North entrance of the Land Between the Lakes National Recreation Area. Next, and this is hard to believe for some, but you never have to leave historic Grand Rivers to find everything you need for a great vacation. If you want to rest in the lap of luxury or if you are more at home pitching a tent under the stars, Grand Rivers has just the place. Rated as the number one Family Resort in Kentucky by ResortsandLodges.com, Green Turtle Bay is second to none. The resort’s marina was voted as Best Stop by the Great Loopers Association and holds a 5-Anchor designation from Quimby’s Cruising Guide. Need more convincing? The resort also has an exquisite day spa. 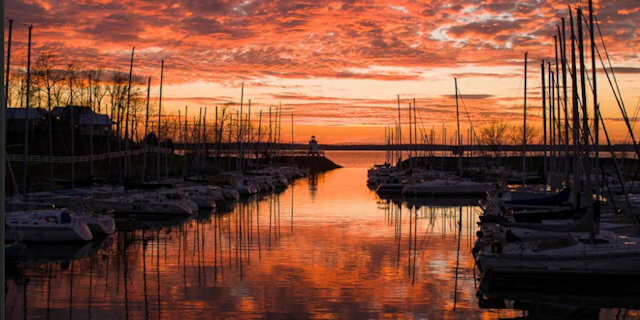 Nearby you’ll find Lighthouse Landing, home to beautiful waterfront vacation cottages known for their lake views and TVA Certified Clean Marina. If you’ve always wanted to learn how to navigate the waters of Kentucky Lake on a sailboat then you’ll want to sign up one of the resort’s ASA-certified Sailing Courses offered at various times throughout the year. Are quaint hotels and bed and breakfasts in town more your style? If so, Grand Rivers has those, too, in abundance. It’s always fun to pull into the parking lot at Patti’s 1880’s Settlement and take a look at the license plates that fill it. Visitors flock every day from all over the nation just to take part in the experience. In fact, they attract more than 350,000 people each year to Grand Rivers (itself with just 350 residents). A devastating fire in early 2018 destroyed the famous restaurants, but efforts are underway to rebuild. Hamburger Patti's is setup temporarily on J.H. O'Bryan Avenue serving their famous smoked pork chops, sides and desserts. Additionally, most of the shops and attractions at Patti's 1880's Settlement remain open. Come to Patti’s 1880’s Settlement for a meal, for sure, but stay all day in the Settlement for shopping at their log cabin gift shops, gazing at their beautiful gardens complete with fountains and streams, and entertainment in their miniature golf course and animal park. Just across the street from Patti’s 1880’s Settlement, you’ll find the crown jewel of Grand Rivers entertainment - The Badgett Playhouse. Year-round down-home entertainment includes the newest offering Variety! Show along with other special performances and events. Variety! brings Branson-style musical revues to Grand Rivers with a two-hour performance by a professional cast of singers, dancers and musicians. Before your visit, check out the Playhouse website to see what laughs await you at the Playhouse during your stay. Maybe you had a little too much pie during your meal at Patti’s. It happens, which is why it’s great to be able to get moving along The Grand Rivers Walking Trail, which winds from the Jetty at Lighthouse Landing through downtown Grand Rivers. The trail will take you by shops and by Patti’s and The Badgett Playhouse. Your trip would not be complete without a chance to visit Mother Nature up close and personal at Land Between the Lakes National Recreation Area (LBL). Nearly 200,000 acres of wildlife, history and outdoor recreational activities combine with 300 miles of undeveloped shoreline and 200 miles of hiking and biking trails to make up the ultimate in family-friendly activities guaranteed to get you unplugged and back at one with the world around you. Visit this national recreation spot for the Elk and Bison Prairie and observe majestic creatures up close and in their own habitats. You can also enjoy Western Kentucky’s only planetarium (Golden Pond Planetarium) and a fully-operational 1850’s Homeplace where you can participate in practical-living activities reminiscent of the 1800’s, such as sheep shearing, farming and blacksmithing. With so much to offer year-round, you’d think that Grand Rivers would rest a little on its laurels, but that just simply isn’t the case. Several times a year, they open their doors and their hearts for a wonderful festival just to show you how special the area truly is. Start the year off with a spring visit for the Annual Spring Festival and Quilt Show, which runs in conjunction with the American Quilters’ Society Show (QuiltWEEK) in nearby Paducah, Ky. At the show, meet quilters from all over the nation, enter to win your very own commemorative quilt and visit with vendors both outdoors and indoors. Labor Day Weekend may be the unofficial end of summer, but there’s certainly no reason to be sad in Grand Rivers that weekend as the town celebrates the Annual Grand Rivers Labor Day Arts & Crafts Festival. It’s a shoppers paradise that brings together almost 100 crafters and artisans from 10 states who offer floral arrangements, baskets, lawn furniture, paintings, honey, beauty products, jewelry, quilts, woodwork, holiday decorations, pottery, rocking chairs and more. Pair that with all of the local delicacies, regional specialties and carnival snacks that you can enjoy and you have a weekend packed with fun to celebrate the close of summer. For more than 30 years, Grand Rivers has hosted a signature event that has become synonymous with the town and its lovely heritage and culture. The Hunters Moon Fall Festival is as old-fashioned as the town itself, with a Taste of the Lakes Food Area, craft and flea market vendors, a children’s pageant, a costume parade and games. Guests finish the night howling at the moon with live music and dancing in October each year. Christmas is the hap-happiest time of the year, no doubt, but even Scrooges can get in the spirit in Grand Rivers during the annual Festival of Lights. 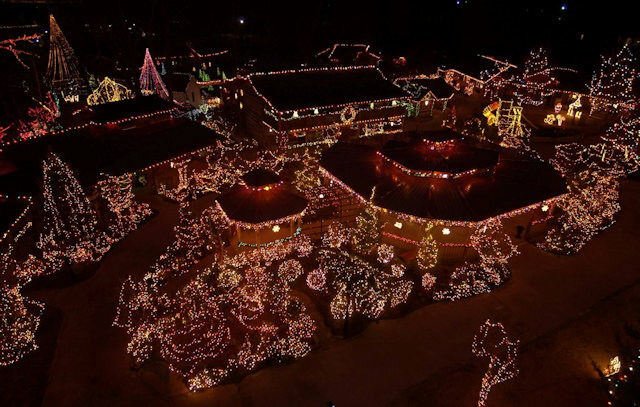 Nearly 1 million lights leave little room for anything other than cheer at Patti’s 1880’s Settlement and throughout downtown. Be sure to check The Badgett Playhouse schedule for when you plan to attend so that you can take part of the memorable new Variety! Christmas Production. The Festival of Lights begins in November each year so there is plenty of time to plan a trip for your family. No matter what you find yourself doing or eating in Grand Rivers, you’re certain to feel right at home. There are many things to do in and around Grand Rivers especially if you love the outdoors. 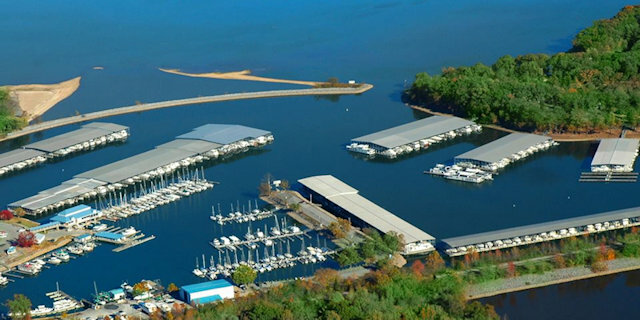 Fishing, boating, and other recreational opportunities are waiting for you. For those considering relocating to the Grand Rivers area, you can get a closer look at the community and also take a look at Grand Rivers, Kentucky real estate agencies. You can even view a list of churches in Grand Rivers area.